Mariano Guadalupe Vallejo (c.1808–January 18, 1890) was a leader in the struggle for statehood for California. During his lifetime, he witnessed three nations rule California. Born to a wealthy family in Monterey, California, the eighth of 13 children, he entered military service at age 16. A soldier when Mexico took over California from Spain in 1826, Vallejo (va-YAY-ho) supported Californíos (native-born Californians) who rebelled against the Mexican governor. In 1829 he led a successful mission against a band of runaway mission Indians. In 1831 he was named commander of the Presidio in San Francisco. 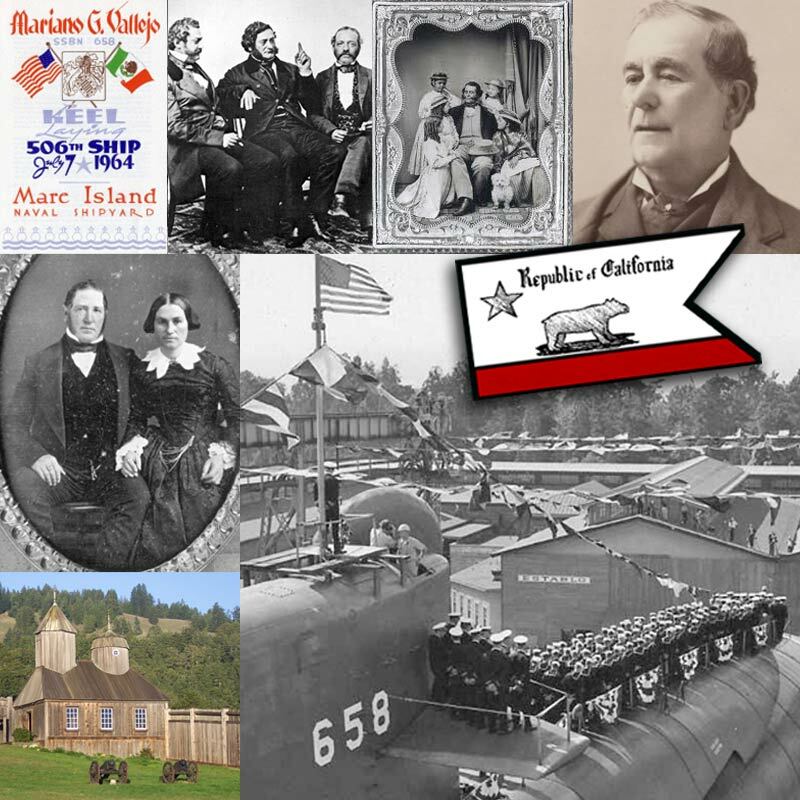 In 1835 he was appointed commandant of the fourth military district and director of colonization of the northern frontier, the highest military command in northern California. His next major accomplishment came when Governor Jose Figueroa asked him to lay out a pueblo at the Solano mission and authorized him to free the Indian workers and distribute the mission lands and assets to settlers. This colonization plan was designed to prevent further extension of the Russian establishment of Fort Ross. As a reward for his success, he was given approximately 44 acres in the Petaluma Valley to develop as his own private rancho. This agricultural empire and his already-established civil and military powers made him one of the wealthiest and most influential men of his day in California. In 1841 the Russians decided to abandon their outposts at Bodega and Fort Ross and offered to sell the fort to Vallejo. After several months of delays in the negotiations, the fort was purchased by John Sutter. This setback reinforced Vallejo’s belief that California would be better served if it were ruled by the United States rather than Mexico City. In 1946 a group of unruly frontiersmen “attacked” the pueblo of Sonoma, arrested Vallejo and imprisoned him in Sutter’s fort. They then raised a newly designed flag—the Bear Flag—over Sonoma. Within a month, the U.S. flag was raised in California, and the new officials released Vallejo and allowed him to return home. Sadly, he found that during his imprisonment and loss of power, his rancho was looted of its cattle, horses and other assets by the Bear Flaggers and Captain John C. Freemont. Despite this action, Vallejo sided with the Americans in the Mexican War (1846–1848). Para ver esta historia en español, clic aquí.